Why are private fish ponds regulated? Private fish ponds have been popular for decades. They can provide fishing enjoyment for children and an opportunity for pond owners to create and manage their own personal fisheries. However, if they are not regulated, private fish ponds have the potential to seriously harm wild fish populations in adjacent rivers, streams, and lakes. Unwanted non-native aquatic species and diseases can be easily introduced to drainages through private ponds. 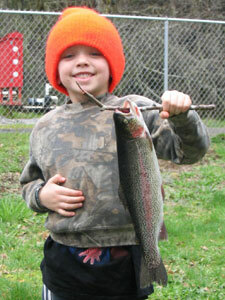 For this reason, ODFW works with landowners to insure private pond stocking won't harm public fisheries. 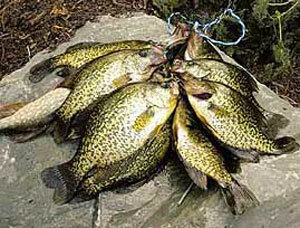 What permits are required to stock fish in a private pond? All persons transporting fish in Oregon need to have a fish transport permit. Fish transport permits cost $13 and if you are buying from a licensed propagator, they will obtain this for you. If you are a researcher, you will need to pay for your permit before it can be issued. Please contact guy.s.chilton for an invoice. If you are a researcher, tribal, or for interagency purposes, please contact Guy.S.Chilton@state.or.us for more information. If you are collecting fish for scientific or educational purposes, you will need a scientific take permit. If you are purchasing fish from a private producer, they will provide a permit to you after it is reviewed by the ODFW Fish Stocking Coordinator. In general, new ponds, large numbers of fish, warmwater, and non-triploid fish are requests that generally need review by a biologist. Approval time can range from 1 to 10 business days, depending on the time of year. What should I stock my pond with? The species of fish that will do well in a pond depends on the size, depth, and inflow. Trout will generally not reproduce without flowing water. Additionally, they will likely not survive the hot temperatures of summer if the pond is not at least 8-10 feet deep, or has no spring flow. 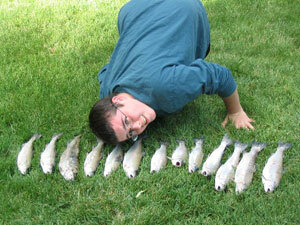 Warmwater fish, such as bass and bluegill, will usually establish reproducing populations. Although species that don't reproduce naturally require periodic stocking, one benefit is that the population can be easily controlled and managed. Where interbreeding of escaped fish with wild fish is a concern, sterile fish, known as “triploids” can greatly minimize the risk of hybridization or establishment of new populations in public waters. What am I allowed to stock in my pond? Even the best screens may fail, and for this reason ODFW only allows stocking of species that are currently found in adjacent waters. This insures that new species aren't introduced into publicly-owned waters, which can threaten native fish populations and public fishing opportunities. To prevent the introduction and spread of disease, such as whirling disease, only fish from an approved disease-free hatchery may be stocked. Low risk - ODFW will generally allow stocking of non-reproducing species from approved producers (e.g.. triploid rainbow trout). Moderate risk – ODFW would allow releases such as diploid rainbow trout, crappie, largemouth bass after permit review in watersheds that already contain introduced species but also contain populations of native species. High risk – ODFW would be unlikely to allow stocking of non-native species (e.g.., largemouth and smallmouth bass, bluegill, bullhead, channel catfish) without strong safeguards. 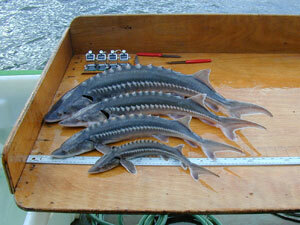 These stocking sites must be isolated from waters where native fish or threatened/endangered species are present. Prohibited – ODFW will not allow any stocking of the following: carp, pike, brown trout, brook trout, walleye, bowfin, alligator gar, or any fish listed in the Prohibited or Controlled species fish list (pdf). Where can I purchase fish for stocking? Fish may be purchased at one of several commercial fish producers (pdf) located in Oregon. Fish purchased from outside Oregon must be approved by ODFW Fish Health Services and the facility must be an approved disease-free facility. All Oregon commercial fish producers are licensed by ODFW.More information about becoming a licensed fish propagator in Oregon. What permits/approval will I need? All persons transporting fish in Oregon need to have a fish transport permit. What other types of wildlife can I encourage or should I expect? There are many types of amphibians, birds, and mammals that can use pond habitat. Some of these are invasive and can become pests, such as bullfrogs or nutria. However, you may want to attract native species like the western pond turtle, native frogs or wood ducks. For more information, contact your local ODFW office or see on this information about pond management (pdf). How do I control excessive algae or plants? Algae, like all plants, produce oxygen in the daytime but use oxygen at night. Summer fish kills can occur in ponds with extensive algae growth. If a pond has excessive nutrients, algae can flourish in the summer and deplete the oxygen at night, causing a fish kill. Common sources of nutrients are lawn fertilizer, leaking septic tanks, tree leaves, and waste from pets, waterfowl, or livestock. Pond owners can minimize the risk of fish kills by installing aerators. Although effective in small ponds, aeration systems can be expensive. A less-expensive alternative is to minimize the nutrients that enter the pond. This will keep plant and algae growth under control and reduce the decaying material in the winter and night time oxygen demand in the summer. Periodically removing the dead vegetation that accumulates in a pond will also help reduce the oxygen depletion. Although herbicides can effectively kill unwanted vegetation, they do not remove nutrients from the pond and will not help prevent algae blooms or fish kills, and they may make stocked fish unsafe to eat. 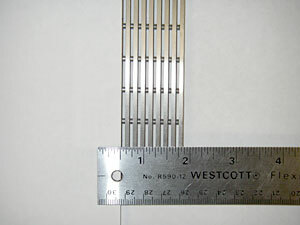 Sterile fish are most commonly created through triploidy. The process involves shocking or pressurizing fish eggs soon after fertilization, which causes the fish to develop three sets of chromosomes instead of two. This prevents the fish from reproducing. 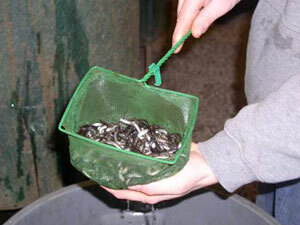 Sterile fish are a valuable tool for managing fisheries in drainages with fragile populations of native fish. Most commercial growers now have sterile trout available for private fish ponds. Do I need to screen my pond? Landowners must screen the inlet and outlet of their pond to insure that fish cannot escape into public waters. 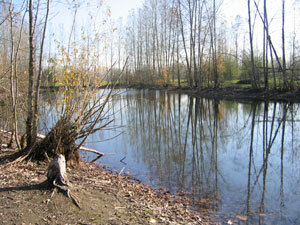 The inlet may also require screening to keep wild fish from entering the pond. Depending on the location of the pond and the risk of escapement, an ODFW biologist may inspect the pond and insure the screening is sufficient. 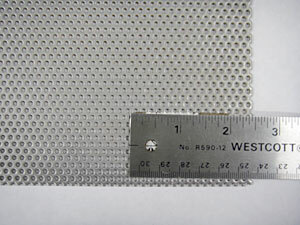 If fry-sized salmonids are present nearby, the mesh size is 3/32 inch for circular or square screens (jpg) and 1/16 inches for slotted screens (jpg) which will keep wild fish from getting into the pond. In these cases there are other criteria that need to be met, such as approach velocity, screen surface area, etc.More information. How can I get grass carp for my pond? Most grass carp stockings occur in man-made water bodies, where native fish and wildlife are not expected or known to occur. Containment is crucial to keep grass carp out of natural water systems, avoiding impacts to native fish and wildlife and their habitat. As grass carp indiscriminately eat both exotic and native vegetation, they can completely eliminate or reduce cover, food, and shelter for fish and wildlife species such as waterfowl, amphibians, salmon, steelhead, and trout. Grass carp can also compete for food with invertebrates (e.g., crayfish) and can cause turbidity and excessive algal blooms through excretion of undigested plant materials. To inquire about a grass carp stocking permit application, contact Gary Galovich. The Natural Resources Conservation Service has many regional offices through out Oregon that can help with pond design questions. Almost every county in Oregon has an Oregon State Extension Service office and they may also be able to help. Another resource is an Oregon Soil and Water Conservation District, which are also located in almost every Oregon county. If you have specific questions about fish that may be allowed in certain areas, you may also contact the fish biologist at your local ODFW district or field office.